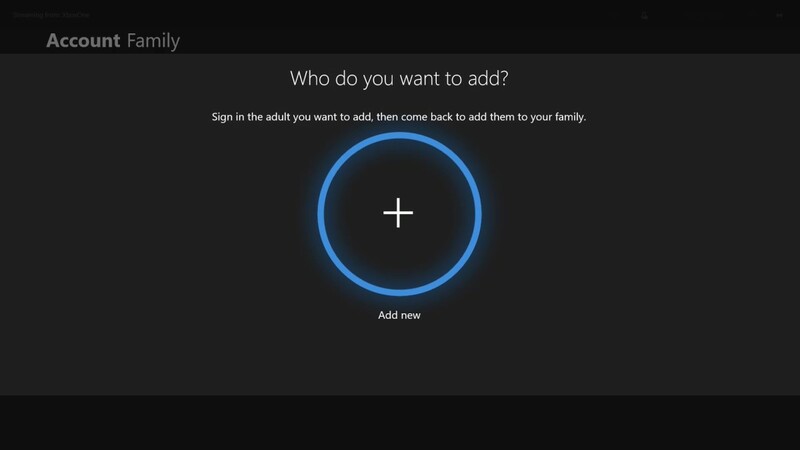 Adding child accounts to your Xbox will prevent you from having to let your kids use your Xbox Live account, or having to continually set your kids up with a guest account to play the video game console. 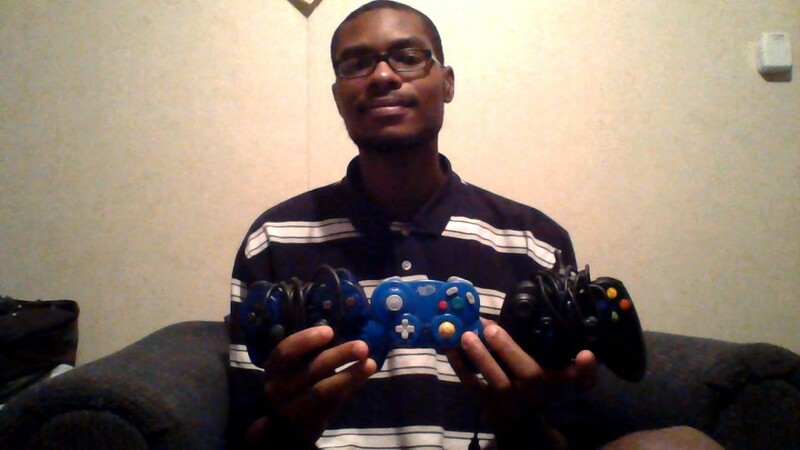 Additionally, this is also required if you ultimately want to set up a timer to restrict the amount of time they can spend playing the Xbox, or set up restrictions around the types of games and content they can access through the console. There are two big sections in the following article. 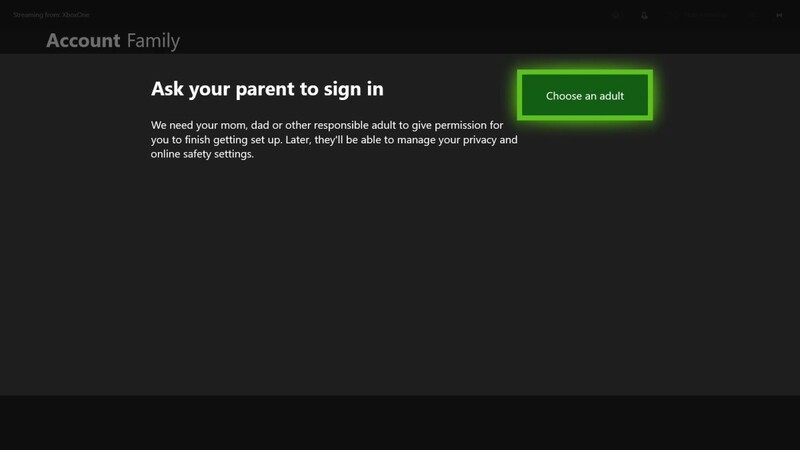 The first will walk you through how to add a child to the Microsoft account you use on your Xbox Live. 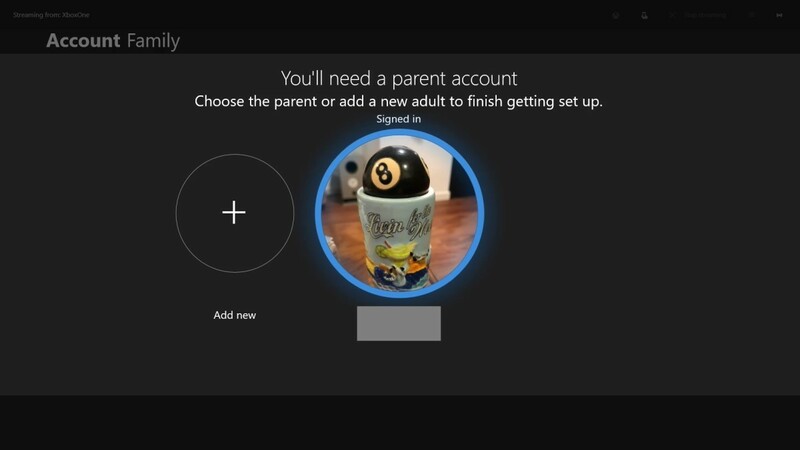 The second section will walk you through how to add the child account that you created to your Xbox Live family account. 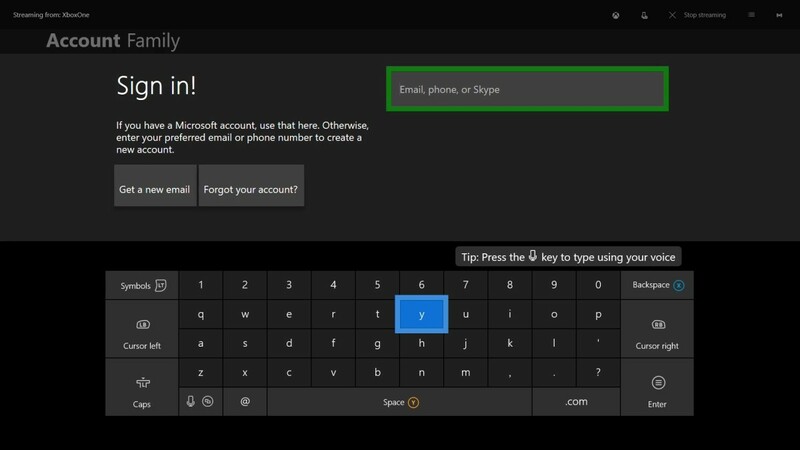 If your kids already have Microsoft accounts and you just need to add them, you can skip ahead to the second section. 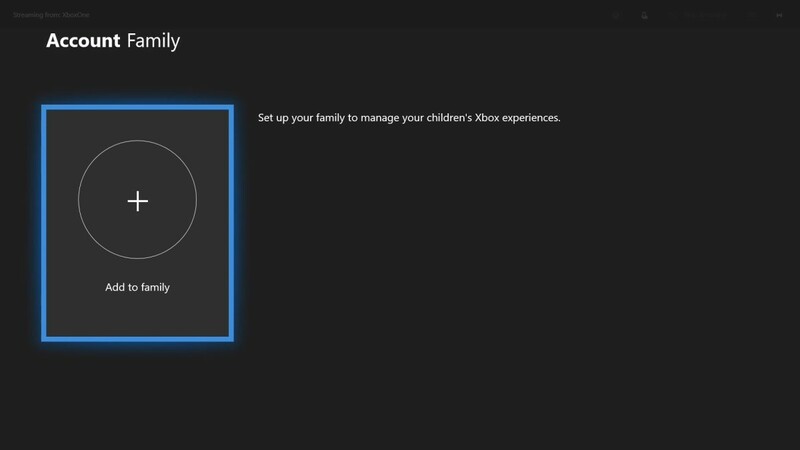 Adding a child to your Xbox One family account will make it possible for you to apply parental controls, such as setting time limits around how much time they can spend on the gaming console. Open your Web browser and navigate to account.microsoft.com. Click "Sign In" in the upper right corner of the screen. A Sign In screen appears. 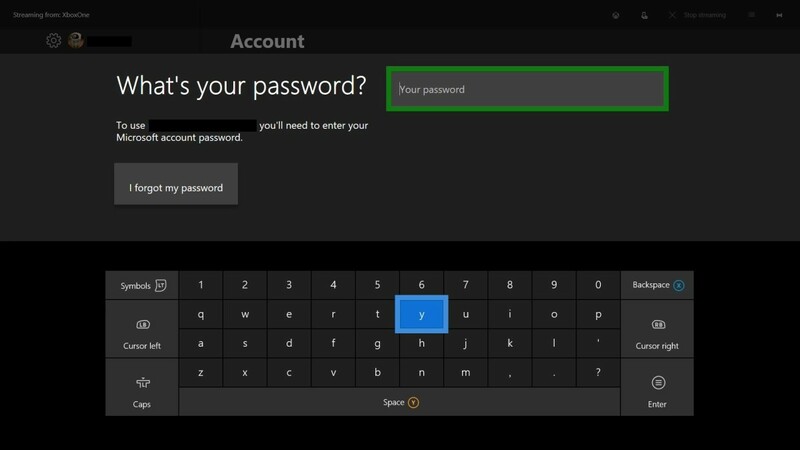 Step through the next few screens to enter the username and password associated with your Microsoft account. 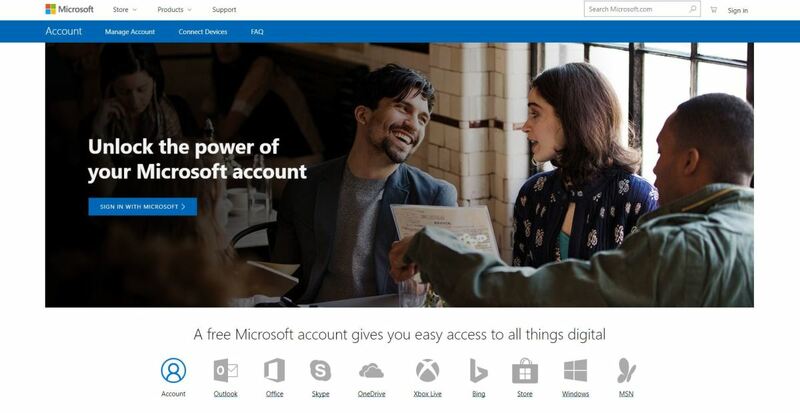 You'll arrive at your Microsoft Account home screen. Click the blue "Add a Family Member" link in the Give Your Kids Access section on the right side of the screen. 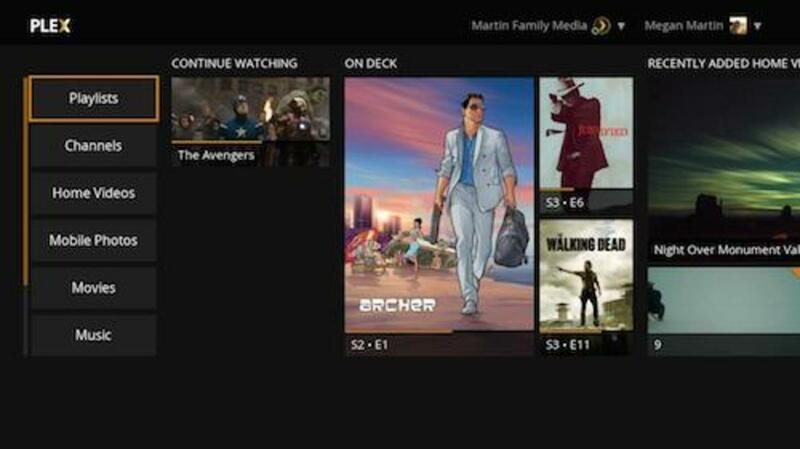 The Add a Family Member screen appears. Click the blue "Add a Family Member" button. The Add a Family Member dialog box appears. 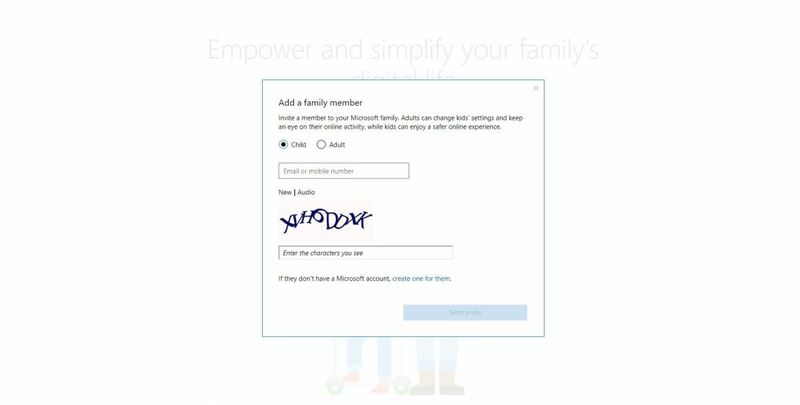 If your kids have a Microsoft email address, enter it in the Email or Mobile Number field, enter the Captcha, and then click the blue "Send Invite" button at the bottom of the dialog box. However, for this example, I'm going to click the blue "Create One for them link" so I can create a new child's account. The Create Account for Child screen appears. 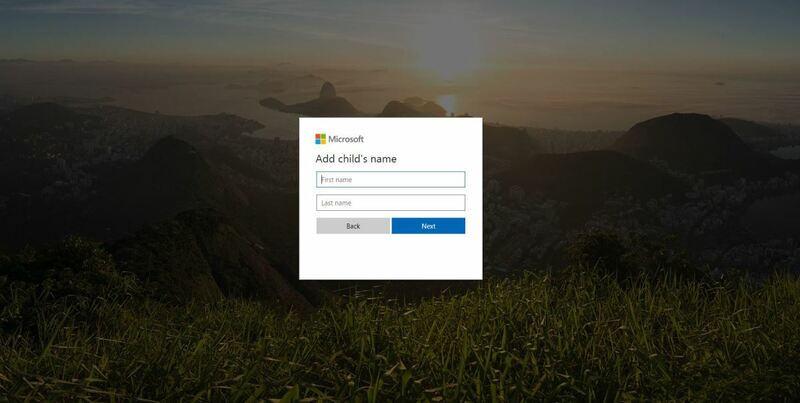 You can choose to associate your child's account with one of your Microsoft email addresses, or you can create a new email address for them. In this example, I'll create a new email address for them. Enter the address and password associated with the new account, and then click the blue "Next" button. The Add Child's Name screen appears. Enter the first name and last name associated with your child's account, and then click the blue "Next" button. 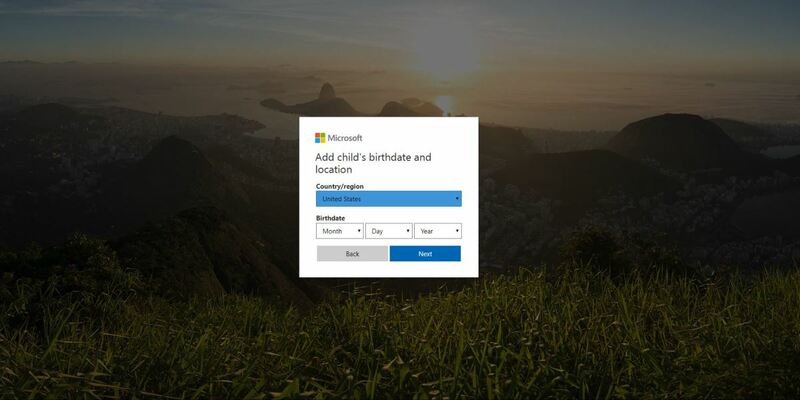 A dialog box appears prompting you to enter your child's birthdate and location information. Enter the requested birthdate and location information, and then click the blue "Next" button. 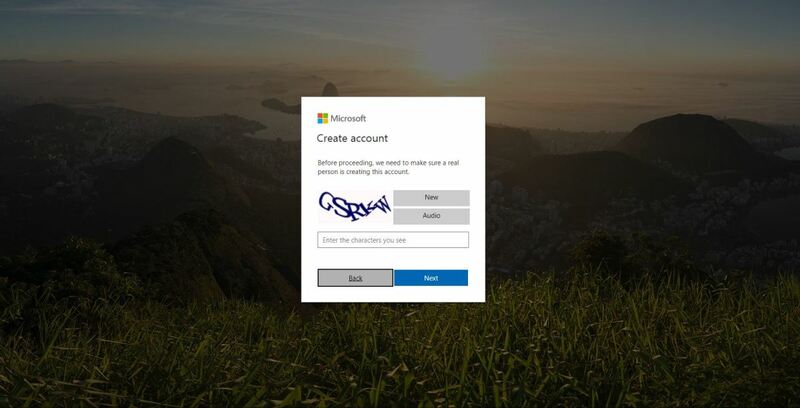 A Create Account screen appears to verify that you're a real person. Enter the Captcha code on the Create Account screen, and then click the blue "Next" button. 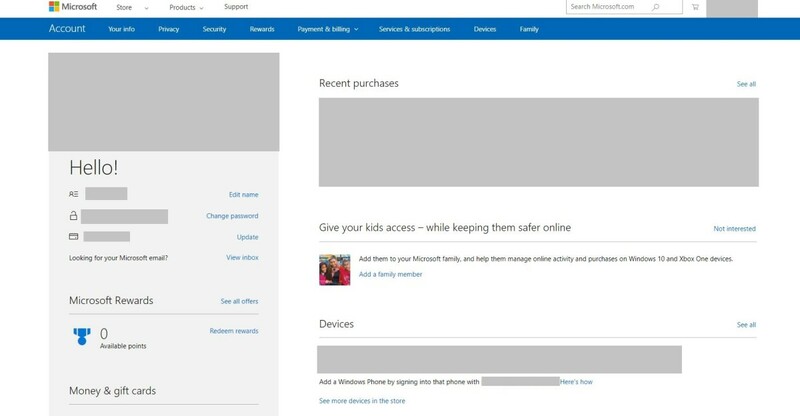 The next screen asks if you want to let your child use a Microsoft account. Scroll down to the bottom of this screen, and click the blue "Yes" button. 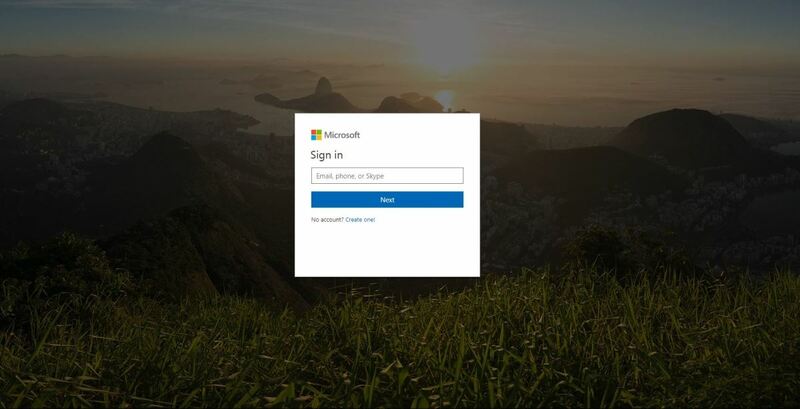 The Enter Password screen appears, prompting you to enter the password associated with your Microsoft account to verify your identity. Enter your password, and then click "Sign In." 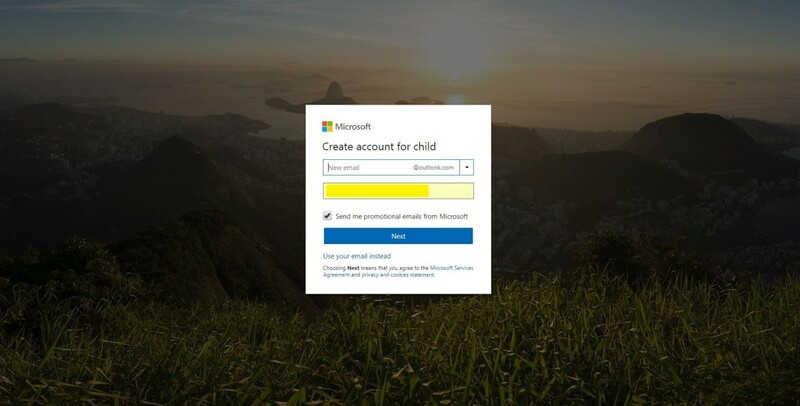 You'll return to the screen asking if your child can use a Microsoft account, where you'll need to click the blue "Yes" button again. The Charge This Card to Verify My Age screen appears. 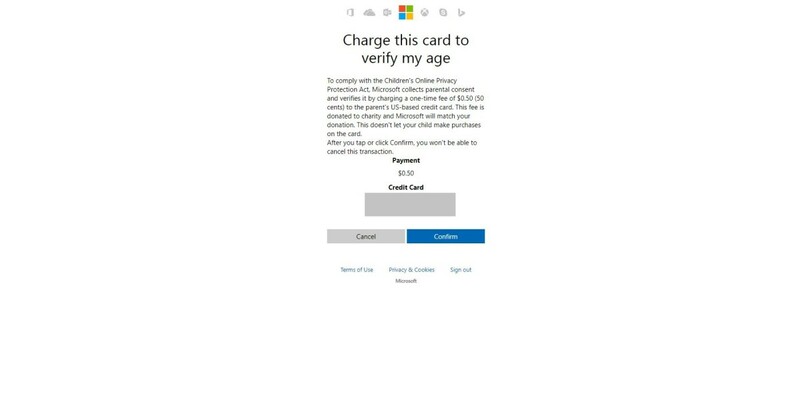 To verify the age of the person creating the child account, Microsoft charges the card associated with your account $.50. Click the blue "Confirm" button. The Your Family screen appears, where you'll see the name of the child you added now appear in the Family Members section. 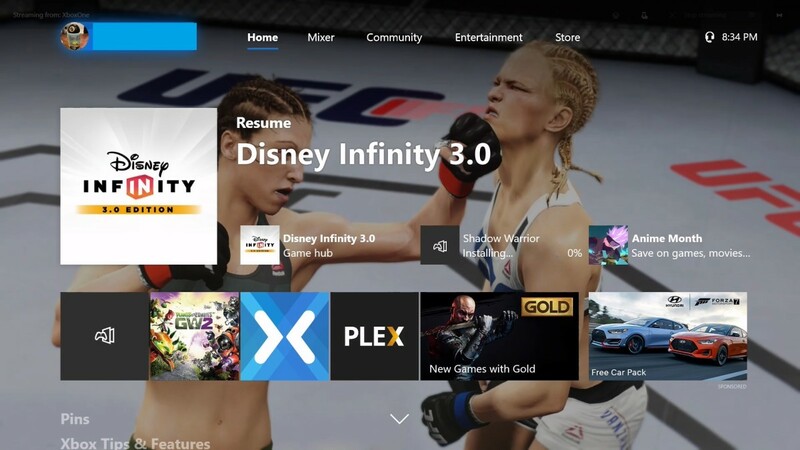 Navigate to your Xbox One home screen. 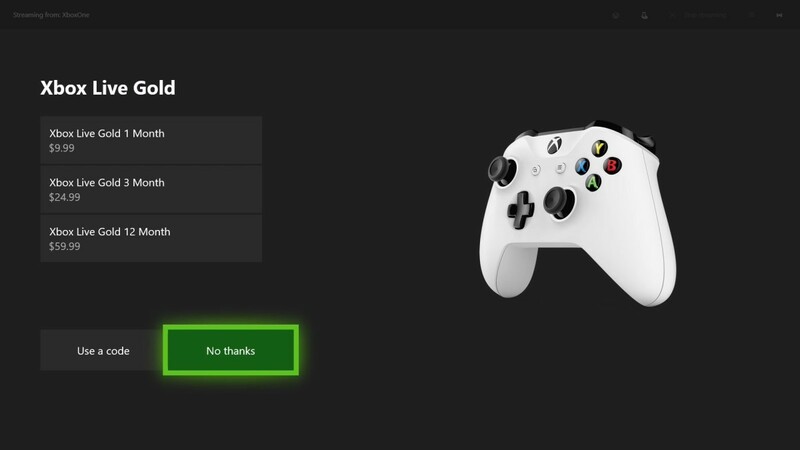 Highlight your Xbox Live gamertag and gamerpic in the upper left corner of the screen using the left analog stick, and then press "A." A menu slides in from the left side of the screen. Highlight the "System" icon in the row of icons along the top of the menu. The System icon is on the far right, and looks like a gear. 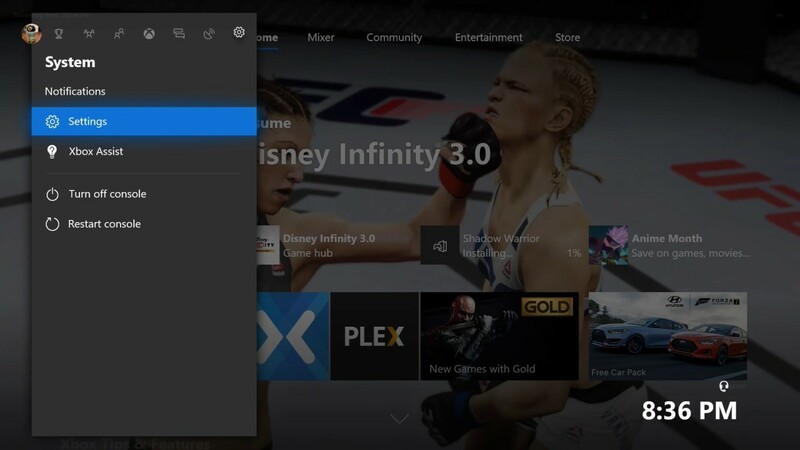 Select "Settings" in the System menu. The Account screen appears. 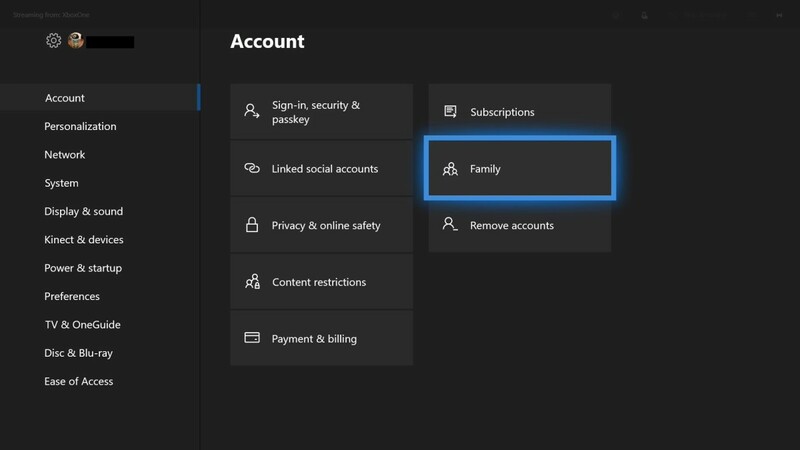 Select "Account" in the list of options on the left side of the screen, and then choose "Family" on the right side of the screen. 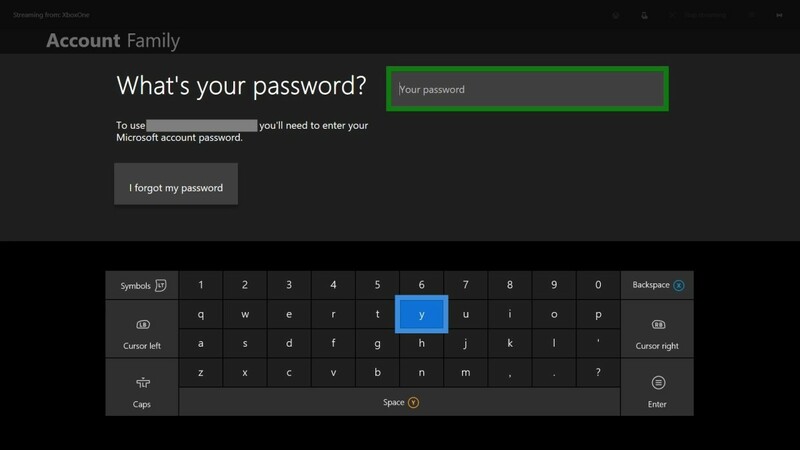 The What's Your Password screen appears, prompting you for your password. Enter your password using the onscreen keyboard, and then press "Start." The Account Family screen appears. Click "Add to Family." The Who Do You Want to Add screen appears. Select "Add New." The Sign In screen appears. 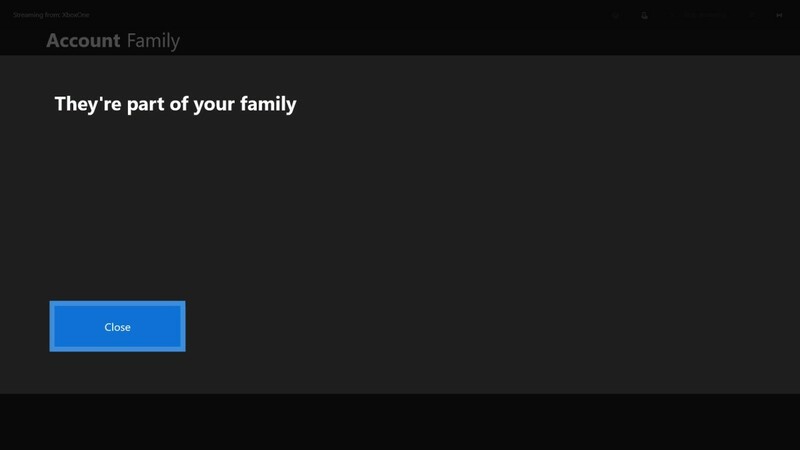 Enter the Microsoft email address associated with the child you want to add to your Xbox account family, and then click "Start." The Enter Your Password screen appears. 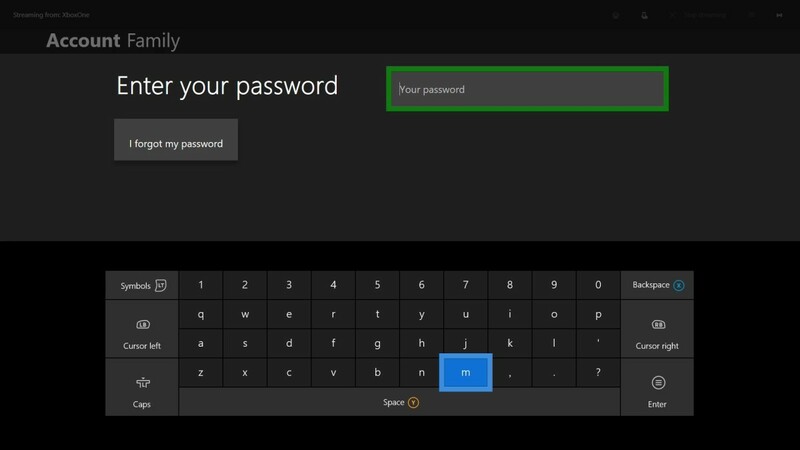 Enter the password associated with your child's Microsoft account, and then click the "Start" button. The Ask a Parent to Sign You In screen appears. Click "Choose an Adult." 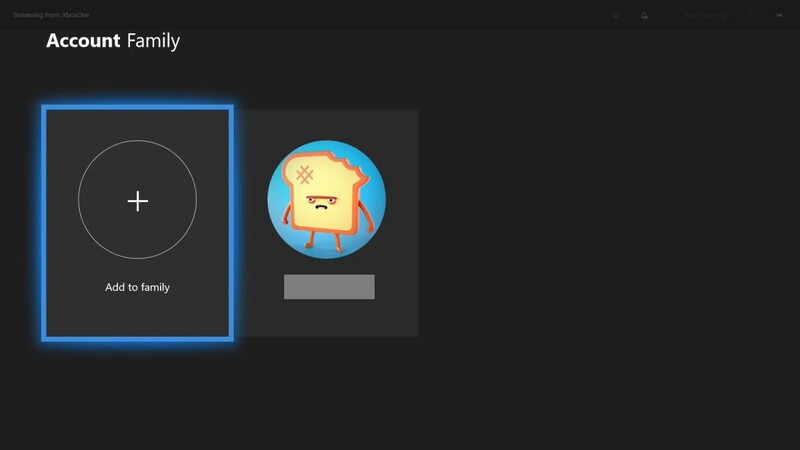 A screen displaying the parent or adult accounts associated with your Xbox appears. Select your parent account. 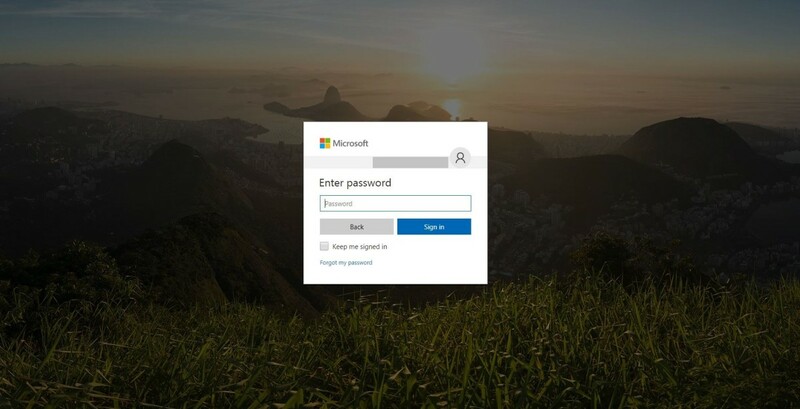 A screen appears prompting you for the password associated with your parent account. Enter the password associated with your account, and then press "Start." A Parents Control Privacy and Online Safety screen appears, giving you an overview of what parents can do and what children will have access to. Select "Next" on the right side of this screen to move to the next section. 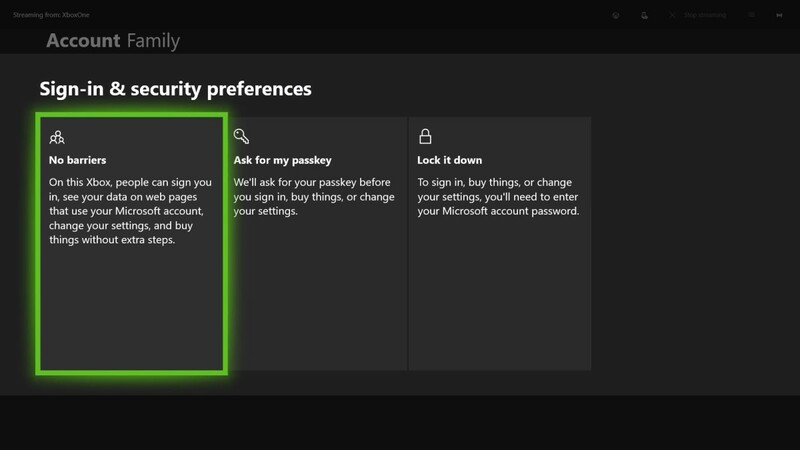 The Sign-in and Security Preferences screen appears. Choose the setting that will work best for your family. 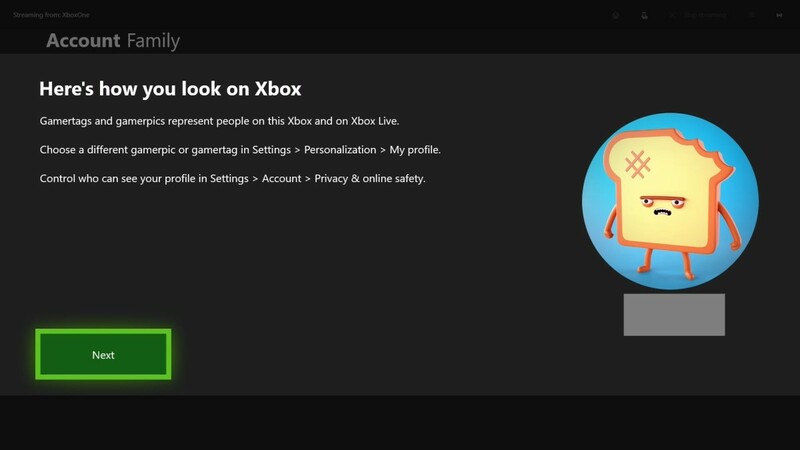 The Here's How You Look on Xbox screen appears, displaying the gamertag and image associated with your child's account. Select "Next." 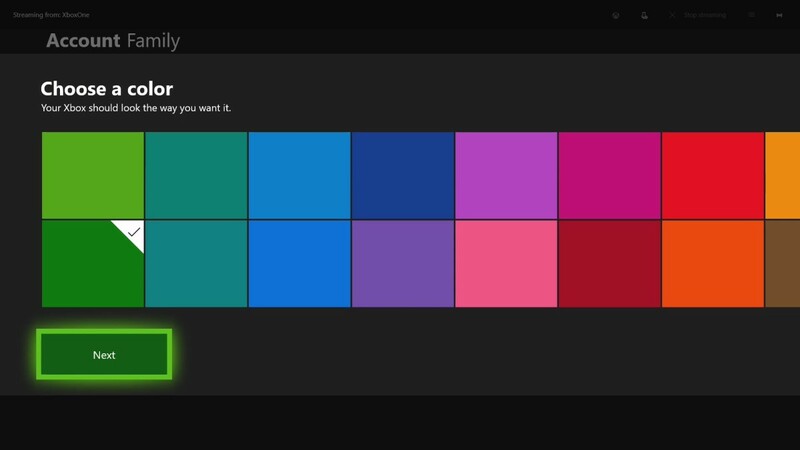 This screen asks you to pick a color. Pick a color you want to associate with this user's account, and then click "Next." 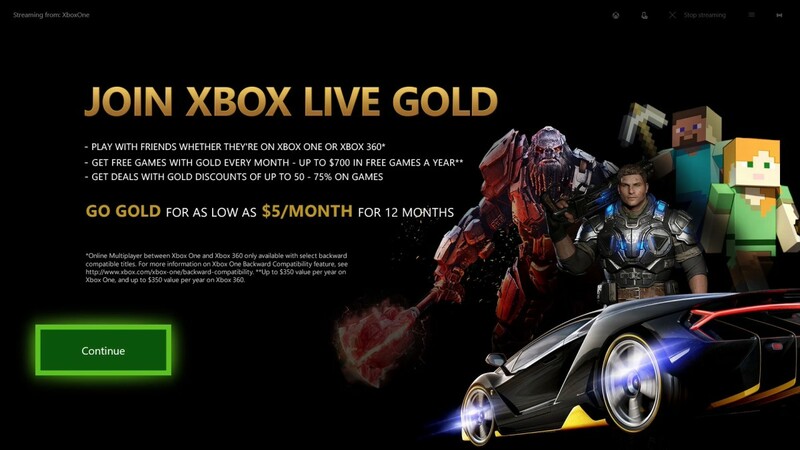 A screen prompting you to join Xbox Live Gold appears. Click "Continue." Another Xbox Live Gold screen appears. 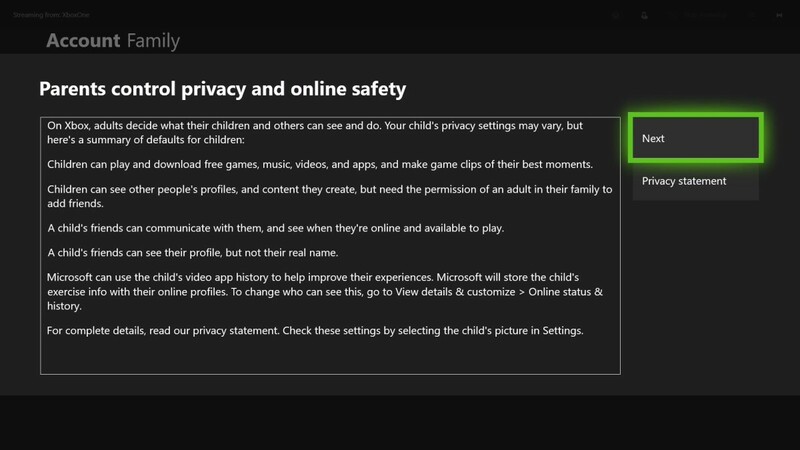 If you don't want your child to have an Xbox Live Gold account, choose "No Thanks." In this example, we'll choose "No Thanks." The They're Part of Your Family screen appears. Click "Close." You'll return to the Account Family screen, where you'll now see your child's account appear in this list.